Take it with you everywhere you go! 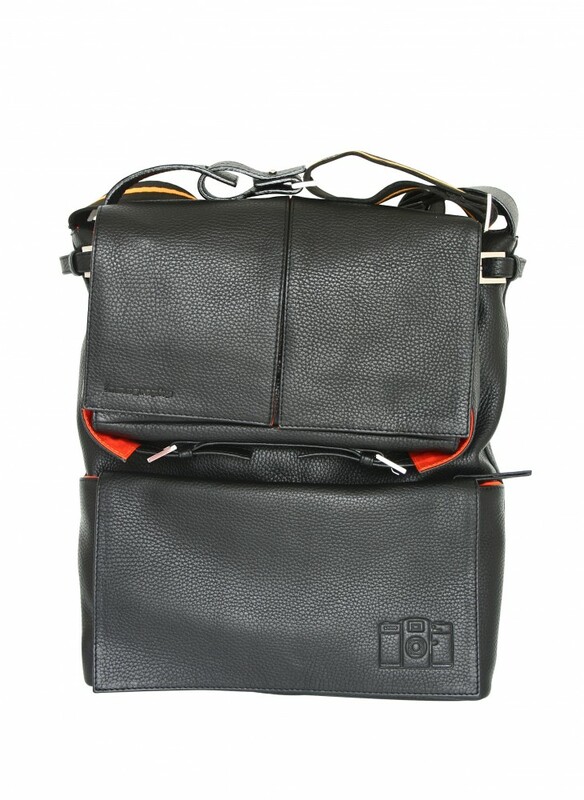 Made in Egypt with the finest pebble-grain leather, the black Sidekick Leather Bag features a 2-in-1 design: a small bag to store your valued cameras and a large bag that holds a compact laptop and other documents in place. Special Leather Fabrication - The black Sidekick Bag is handcrafted in fine black Egyptian cowhide leather with a sophisticated pebble-grain texture running throughout the surface. This top-grain skin will gracefully wear and fade like a vintage bomber jacket. Strong Inside and Out - The interior is lined with 100% cotton canvas. Unisex Style - The Sidekicks modern silhouette looks great on everyone. 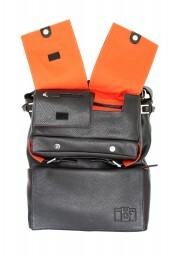 Storage Galore - The Sidekick has plenty of pockets for extreme storage! 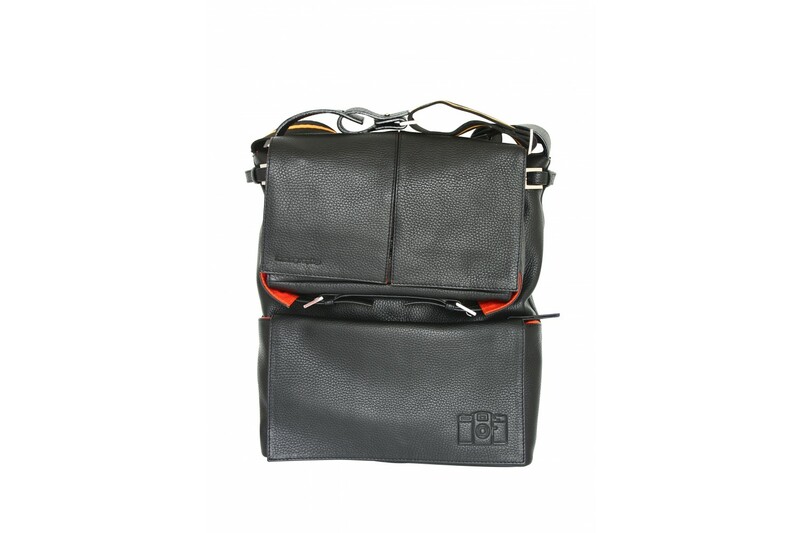 A small internal pouch holds your cash and credit cards, while the large bag has an additional interior zip pocket. 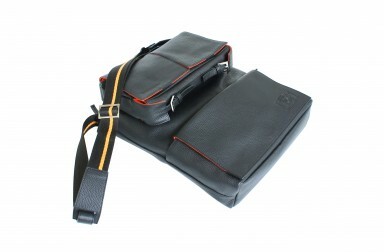 2-in-1 Modular Design - The small camera bag on the front clips to a large bag at the back. Depending on your particular needs, these items can be worn together or separately. Just affix the large adjustable shoulder strap as needed.